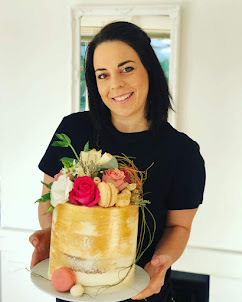 Cape Town cakes: a Pretty engagement cake with coffee macarons. This cake is 16cm wide and 20cm high and serves easily 15-20 guests. The topper is not included in the price.